When you have a magnet implanted in your finger, the only other question besides “why” is “what if you need an MRI“. (The latter question is usually formed as in attack when it comes to online comments.) 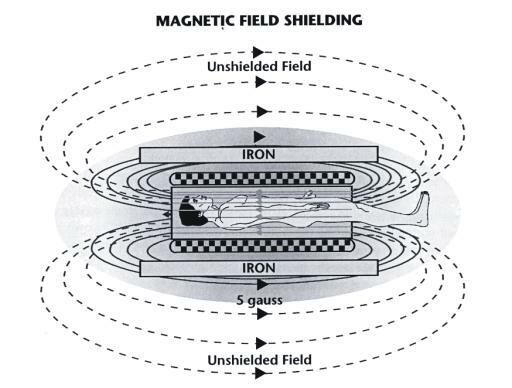 The classic response has been that MRI techs can shield it, but more recently, some people have actually had experience with it, see Chai’s “MRI’s and Magnetic Implants” blog post. After reading that blog, I was excited and prepared for my MRI appointment and it was the same 3 Tesla strength machine. I Informed the tech ahead of time, and she was excited to see what happened, since it would be her first experience with something like this in her 19 years. I could start to feel the pull in my finger at the threshold of the room, but I couldn’t get closer than two feet from the machine before you could visibly see the magnet trying to be ripped out of my finger, the whole area was turning white from stress. (I’m not sure how Chai did it, perhaps a combination of placement and weaker magnet?) I asked the tech about shielding it, and she looked at me like it was the stupidest question she had heard all year and told me it was impossible. So they rescheduled me for the next day at another location with machine that was half the strength, 1.5 Tesla. The same thing happened, except I was able to get much closer, and actually put my hand right in front of the opening. Unfortunately the pain and stress on my finger tip was still too much, you could see my finger deforming as the magnet tried to stand up (rather than laying flush). So, my last hope was a third facility the next day, they had a 0.7 Tesla machine, this machine was also the “open” type, rather than the tube. So, after removing all of my piercings again, I was actually able to put my hand inside this one, it was a manageable pain level, and I didn’t think it would get ripped out, but this final MRI tech happened to be the most knowledgeable, and had an amazing idea…. He suggested that I try and rotate my hand to align my magnet’s poles with the machine’s field, which were vertical. I put out my hand like a handshake, perpendicular to the floor, and as I rotated clockwise, I actually reached a point where I couldn’t rotate anymore, because the magnet was pushing the opposite direction so hard. I took my hand out, and put it back in with the handshake orientation, but palm facing out instead, and it was like the MRI had turned off! 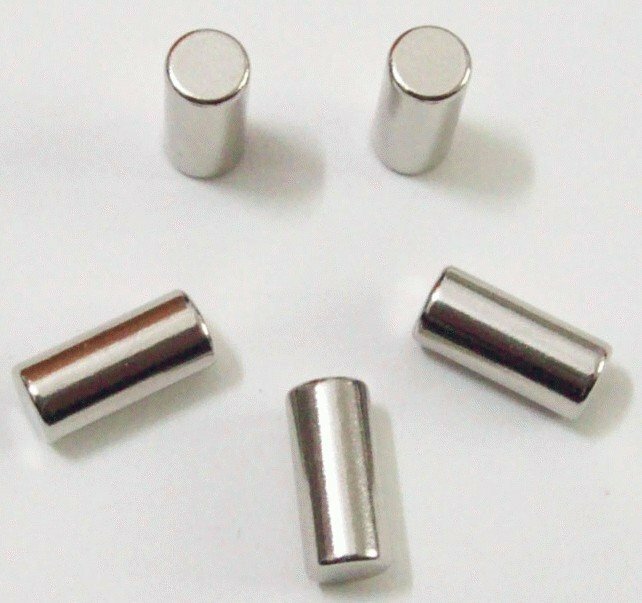 When my magnet was aligned with the fields I felt NOTHING, no pull or tingle, I was able to reach my arm all the way in with zero sensations. So they slid me in the machine slowly, to let me find a comfortable position with my hand. I was able to keep it in my pocket with the knuckles against my thigh and my palm out, and felt nothing expect the slight hum of the machine for the whole procedure. The only other concern I had was about having it demagnetized, but I am still able to pick up the same amount of weight (28g) as before! With this technique of aligning the poles, the strength of the machine won’t matter! As for the tube machines, he explained the the fields are horizontal instead, so I would probably have had to rest my hand on my chest instead. 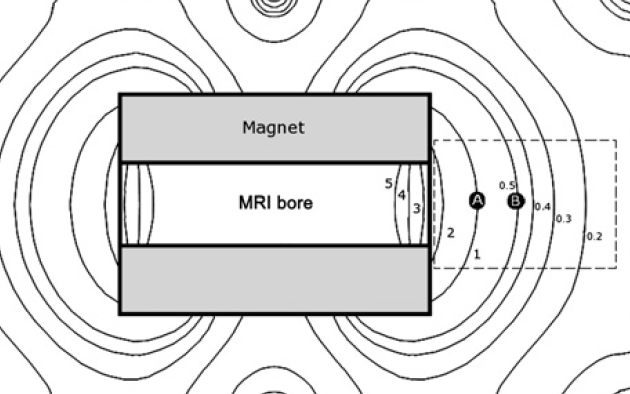 TL;DR Align your magnet with the fields of any MRI machine for zero problems!